Center for Environmental Law v. US Bureau of Reclamation, No. 10-35646, 9th Cir., Aug. 19, 2011, reminds National Environmental Policy Act (NEPA) preparers of the importance of keeping a good record and drafting organized environmental review documents, in addition to taking a “hard look” and genuinely scrutinizing the environmental consequences of a proposed action. In Center for Environmental Law, the 9th Circuit Court of Appeals considered a NEPA challenge by environmental groups to a proposed incremental drawdown of water from Lake Roosevelt in eastern Washington. 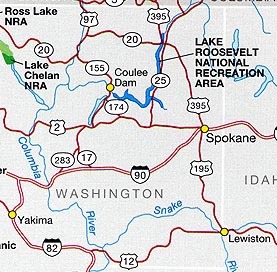 Lake Roosevelt in eastern Washington state serves a variety of purposes, including irrigation, navigation, flood control, power generation, recreation, and fish management. The record includes extensive evidence that [Reclamation] considered the relevant prior . . . actions and took the requisite hard look before approving the drawdown project. Although this evidence is not presented in the cumulative effects section of the EA, it would impermissibly elevate form over substance to hold that Reclamation must replicate its entire analysis under the heading of cumulative effects. While the Court agreed with Plaintiffs' argument that "the portion of the EA exclusively devoted to cumulative effects is conclusory and unenlightening," Reclamation's analysis was sufficient when "reading the EA as a whole." Indirect Effects. "Agencies need not account for potential growth effects that might be caused by a project if the project is exclusively intended to serve a much more limited need." In this case, "the causal tie between the project and growth is significantly . . . attenuated" with regard to Plaintiffs' claim that the project would cause additional future draw downs. The Court found it significant that "[t]he use of the expanded capacity remains both firmly in the control of Reclamation and is subject to review in a future EA or EIS." Consequently, any environmental effects from additional diversions were not, in the Court's opinion, indirect effects of the current drawdown project. Alternatives Analysis. Reclamation’s EA discusses two alternatives—the proposed drawdown and a no action alternative. Plaintiffs' challenged the selection of alternatives as "overly constrained." The Court opined that it has "previously recognized, there is no "numerical floor on alternatives to be considered." In addition, the Court noted prior case law where it previously held that “the absence of a more thorough discussion in [an] EIS of alternatives that were discussed in and rejected as a result of prior state studies does not violate NEPA." Consequently, the Court held that Reclamation's alternatives analysis complied with NEPA. In reaching this conclusion, the Court cited Native Ecosys. Council v. Dombeck, 304 F.3d 886, 897 (9th Cir. 2002), which held that an EA that discussed only the agency’s preferred alternative and a no-action alternative satisfied NEPA. Finally, the Court noted that Reclamation was not required to "consider the alternatives [Plaintiffs] prefer[ed]." Although Reclamation's NEPA compliance was upheld, it is important to heed the Court's cautionary note, "[we do not] suggest that agency discussion of impacts can be so diffuse, scattered, or opaque that a court must play Humpty Dumpty to put the pieces together in a coherent fashion." For more on NEPA and environmental assessment issues see, Environmental Law.